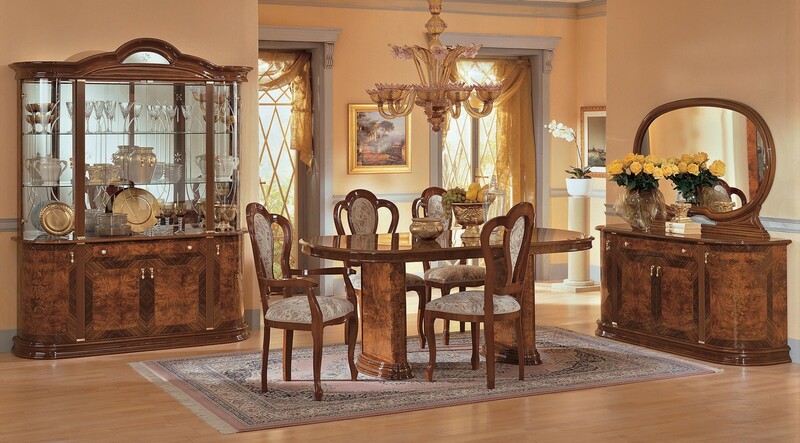 Chair: L19" x D18" x H41"
Armchair: L22" x D19" x H41"
4 Door China: L65" x D18" x H83"
4 Door Buffet: L65" x D18" x H33"
Mirror: L54" x D2" x H36"
Milady classic style set will turn your dining room into in an Italian luxury castle. 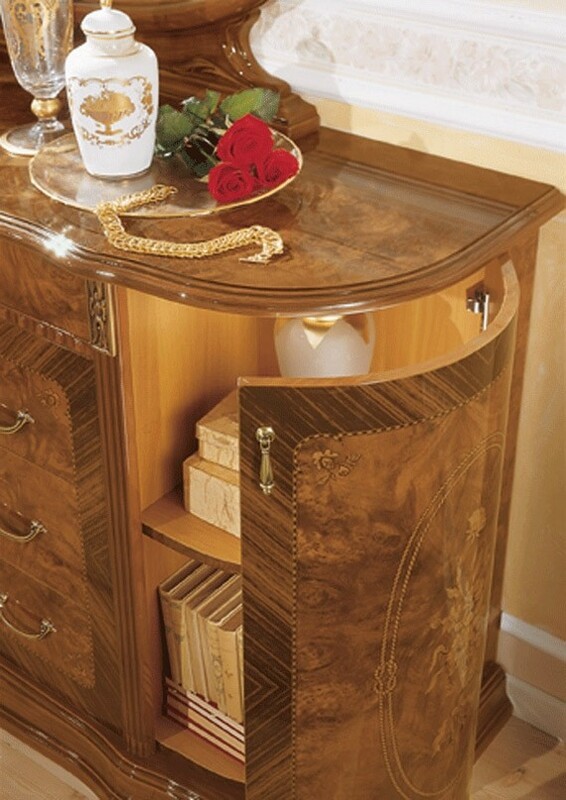 Manufactured by Camelgroup this collection is one of the finest craftsmanship. 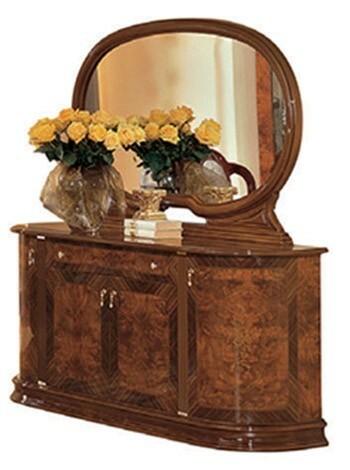 Constructed of wood it has a unique brown lacquer finish to insure durability. 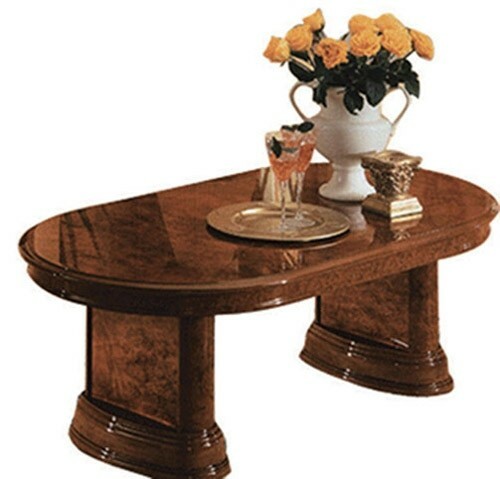 Large table features double pedestal legs, round edges and a leaf extension. 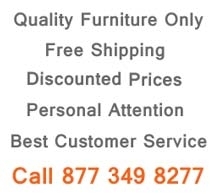 Comfortable chairs have a cushioned seat and back with a fine tapestry fabric and a matching frame with legs. 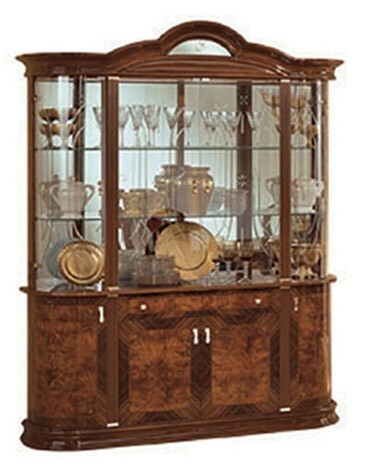 To complete the set add china cabinet and a buffet with tons of storage space inside and a gold finish hardware.